This morning I made a trip down to the local shopping mall. It's interesting to see the flurry of activity as the retailers gear up for the Christmas season. Being that this is a critical time of the year for many New Zealand retailers, some malls are going as far as sprucing up the surroundings. 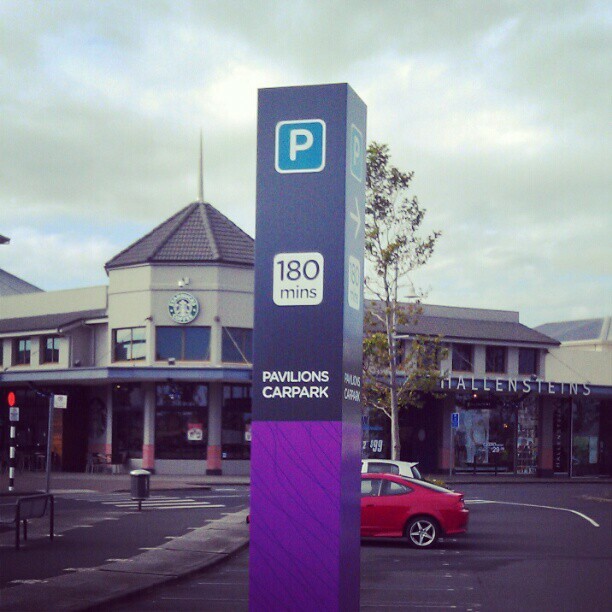 I've noticed a few things happening at the Botany Town Centre over the past few months. They resurfaced a road which was full of potholes. The road was so bad that it resembled some of the roads I'd become accustomed to while working throughout Africa in the late 1990's. I'm sure that I'm not the only shopper who welcomed this change. Today, I saw something else which got me thinking about the way we do business and how consumer demographics are rapidly changing. There's a need for business to challenge and change a lot of what they do. While at the mall, I noticed tradesmen replacing old signage with fresh new ones. Replacing the old sun faded signs really does make a difference to the feeling of the place. There are a couple of things that stand out to me about this sign. Firstly the very clearly marked "180 Minutes" which is the imposed time limit for parking your car. Imagine what it would be like if you visited a website and you were limited to 2 minutes. How much revenue do you think the site would make? From my experience with website analysis, I've found that the longer someone spends on your site, the more likely they are to spend their hard earned cash. I would have thought that the same would apply to a parking at a shopping centre. Secondly, in the age of the Smartphone, imagine what it would be like if the sign had a QR code on it. Obviously, it's been colour coded in case you have trouble finding your car. But what if you scanned a QR code which could then display an interactive map directing you back to your car? Recently I've enjoyed reading Brian Solis's book "The End of Business as Usual - Rewire the way you work to succeed in the consumer revolution". If you're about to replace some of the old signage, business processes, employees or even suppliers, then it's time to do some extra homework to ensure that old thinking gets replaced with new thinking. If the consumer has changed then your business also needs to change. I often have a lot of people tell me that issues which effect consumers aren't relevant to their business. They quite clearly state that they are a B2B (Business to Business) company not a B2C (Business to Consumer) company. However, somewhere through the consumer food chain, every business rises and falls on consumer behaviors.